Recent reports of mobile giant Samsung testing the firmware of its upcoming Galaxy Note 9, potentially suggests the new phone could be released as early as July 2018. This certainly indicates that Samsung is gearing up to release Note 9 along side iPhone XI, which is rumoured to be launched around same time this year. According to Sammobile reports in NDTV, the software testing process is taking place two weeks earlier in the year than it did for Samsung Note 8 last year which will be replaced by the new Note 9. 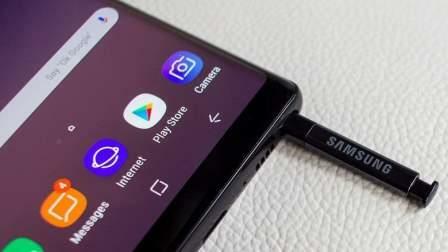 Moreover, the Note 7 and Note 8 were both released in late August 2016 and August 2017 respectively, hence it was assumed that Note 9 would also be released in the same month this year. But the recent reports of the firmware already being tested, definitely indicates the launch date for Note 9 has been moved forward to July 2018. And this has fanned the speculation that Samsung, which would normally launch Note 9 in mid-September, aims to probably a bigger market share than the competitor iPhone. However, at this stage there is no official confirmation of the Note 9 release date.